A Montana District Court has issued an order effectively ending this winter’s wolverine trapping season, in anticipation of the imperiled wolverine being listed as “threatened” under the Endangered Species Act. Montana Fish, Wildlife and Parks, however, says it will oppose ESA status for wolverine in Montana and, barring that, try to keep its trapping season in spite of federal listing. Click here to read the San Francisco Chronicle article. Click here to read the Joint Motion that has now been signed as a Court Order. Click here for more background on our lawsuit to end the trapping of imperiled wolverine. Our thanks go out to Western Environmental Law Center and the other plaintiffs in this lawsuit for hanging tough for wolverine - and to all of you that support our work! Rare Wolverines Granted Stay of Execution Court grants motion that ends the 2012-21013 wolverine trapping season. Helena, MT - The recreational wolverine trapping season in Montana will not open this year. Montana District Court Judge Sherlock signed an order today granting a joint motion from the State of Montana and conservation groups to cancel a preliminary injunction hearing scheduled for January 10th and keep the temporary restraining order in place, which effectively ends the 2012-2013 wolverine trapping season. The Western Environmental Law Center (WELC) filed a lawsuit on behalf of several conservation groups in October 2012 in state district court against the State of Montana to end the trapping of wolverines, a rare species awaiting federal Endangered Species Act (“ESA”) protections. The Court granted a temporary restraining order to suspend wolverine trapping in Montana on November 30, 2012. “Today, common sense prevailed,” said Matthew Bishop, an attorney with the Western Environmental Law Center who is representing the plaintiffs. “With the 2012-2013 wolverine trapping season effectively over, new leadership at the State, and the likely federal listing of rare wolverines as a threatened species in the coming months, Montana is well positioned to take a leading role in wolverine conservation in the lower 48. I hope the State takes advantage of this opportunity,” added Bishop. The U.S. Fish & Wildlife Service is likely to issue a proposed rule to list wolverine as a threatened species under the ESA in the coming weeks. The agency is expected to send the proposed rule to Federal Register by January 18, 2013. Wolverines will likely be listed under the Endangered Species Act and federally protected before the next wolverine trapping season starts. Much like polar bears, global climate change is imperiling wolverines due to habitat destruction. Wolverines require deep, late-spring snowpack for denning and raising young and cold year-round temperatures. As suitable habitat is fragmented or vanishes, populations become ever more isolated and reproduction becomes much more difficult. 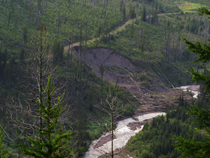 WELC, on behalf of eight conservation groups and an individual, petitioned Montana Fish, Wildlife and Parks to halt trapping in August, well before the season was slated to start on December 1, 2012. But the State refused to consider the best available science or arguments made in support of the petition. Nor did the State provide any response to public comments asking for the end of wolverine trapping. Consequently, WELC filed suit in state district court in October, challenging continued trapping as a violation of state laws requiring maintenance or restoration of rare animals. The U.S. Fish and Wildlife Service designated the wolverine as a species that “warrants protection under the federal Endangered Species Act” in 2010 after determining that the already small and vulnerable population will continue to decline. Trapping represents and additional threat to wolverine mortality in Montana. In one study, of the 14 wolverines tracked in the Pioneer Mountains during a three-year period, 6 were killed in traps, including 4 adult males and two pregnant females. 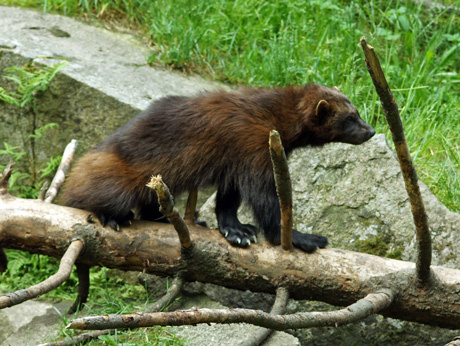 As a result of trapping, the wolverine population in the Pioneers was reduced by an estimated 50%. The Western Environmental Law Center is representing Helena Hunters and Anglers Association, Friends of the Wild Swan, Montana Ecosystem Defense Council, Native Ecosystems Council, the Alliance for the Wild Rockies, the Swan View Coalition, Wild Earth Guardians, Footloose Montana and Mr. George Wuerthner.